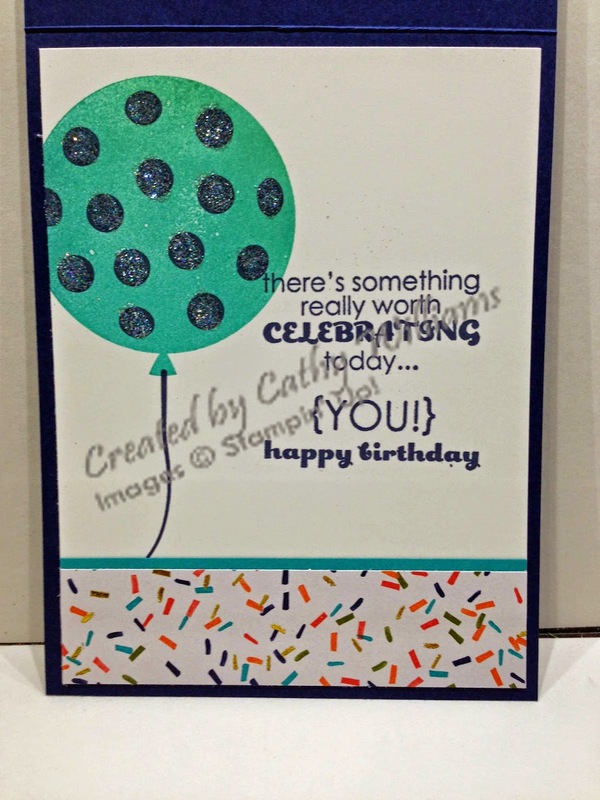 Inking It Up With Cathy: Celebrate Today! What a perfect name for this stamp set! 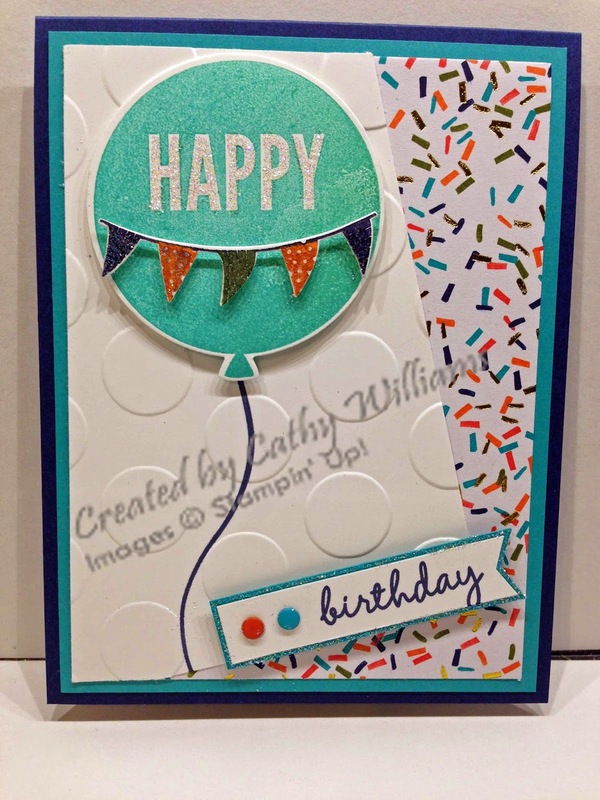 I CASE'd this card from Amanda Mertz but made a few changes to make it my own. Thank you Amanda for the inspiration! The trickiest part of making this card is getting the cut lines correct on the angled piece of Whisper White cardstock. If you want to make this card, I would recommend that you attach it to the DSP as a full quarter sheet and then turn it over and use your cutter to cut along the edge of the DSP. The sentiment on this card is from Remembering Your Birthday. It is actually two stamps but I placed them together on one block so I could get them lined up exactly how I wanted. Quicker stamping too!